Judges are held to high legal and ethical standards. They must treat all people in their courtrooms with fairness and impartiality. Judges who show favoritism in court or who commit judicial errors that create unfair results face consequences. Judges must avoid even the appearance of favoritism so that the courts remain respected, reliable forums for justice. 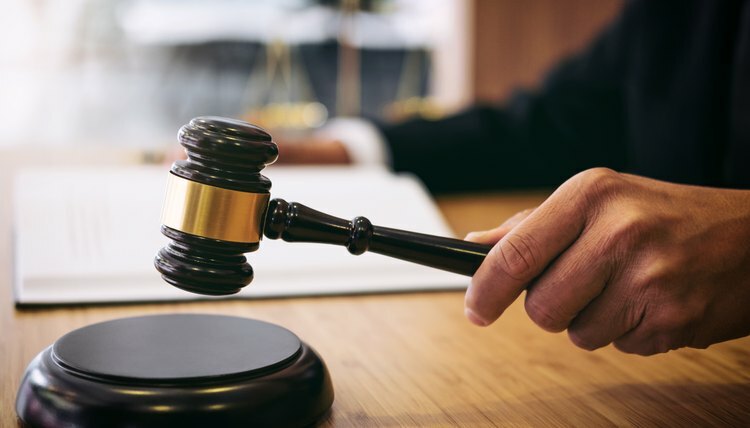 If you feel a judge is being unfair or is showing favoritism toward your opponent when it is not warranted, you can use the appellate process to have the decision reviewed, and you can also seek recusal or even disciplinary action. A party to a lawsuit may ask a judge to voluntarily recuse, or remove, himself from a case if the party believes he has reason to question the judge’s impartiality. For example, a judge may recuse himself if he is friends with or relatives of a party who appears before his court, or if the party is a former client. A recusal is also appropriate if a judge's personal feelings may cloud his professional judgment. For example, a judge who loses a spouse because of a doctor's mistake may be unable to rule with fairness and impartiality on a similar medical malpractice case. A party who believes that a judge has rendered an unfair ruling can request that the judge reconsider her decision. A motion for reconsideration includes a written brief and may include oral argument before the judge, although some judges may decide the motion without hearing argument. A party, or his attorney, must present the legal and factual reasons for why a ruling is unjust. Generally, the party must file the motion for reconsideration within a certain number of days after a judge makes an objectionable decision. You should contact your court about deadlines because they can vary from state to state and from court to court. A person who is unhappy with a judge's final ruling can also appeal the decision to a higher court. For example, if your case is in federal court for the District of New Jersey, you can appeal the judge's decision directly to the Third Circuit Court of Appeals. If your case is in state court, your state's court system will have an appellate court above the trial level. The appeal must be based on an assertion that the judge made an error in his fact finding or that he incorrectly applied the law to the facts. For example, a party may believe that a judge's ruling was unfair because the judge applied incorrect law, ignored evidence, expressed prejudice or appeared intoxicated during trial. If an appellate judge determines that the trial judge's ruling is unfair, she may overturn it or she may order the lower court judge to rehear the case to correct his previous error or misconduct. A judge must adhere to ethical codes of conduct, which requires him to treat people in his courts with dignity and fairness. Judges who behave rudely or who tilt decisions based on their personal interests or biases may be subject to professional discipline. A party may file a formal grievance against state or federal judges. A party may file a grievance against a federal judge with the clerk of the federal appellate court. A grievance against a state judge is lodged with the state's judicial tenure commission. In most states, you can file a grievance online using the commission's complaint form or simply write a letter to the commission. Include a detailed description of the misconduct and the names of any witnesses to the events described. Judicial Conduct Board of Pennsylvania: What Kinds of Allegations Will the Board Consider? Rottenstein Law Group: What is Recusal? What Does it Mean for a Judge to “Recuse” Herself? Lourdes, Maggie. "What to Do When a Judge Is Unfair." , https://legalbeagle.com/12294743-judge-unfair.html. 04 November 2018.